Social Media is abuzz with excitement around the MINECRAFT for Education announcements. This game's applicabilty and engagement factor for students, particulary K-10 age group is nothing short of phenomenal. Full on hyperpixel fun! When asking an 8 year old what they love about minecraft, it is the construction and building of their own world, unlimited self expression and constant decision making that capture the imagination. There is a culture that has built up around minecraft that includes interacting with others in shared spaces, collaborating on survival missions and demonstration of skills/ mentoring. An unlimited number of youtube videos have been created, and stars of the minecraft world have been born, where storytelling about the created world have become more desirable viewing than main stream television. Some observers concern that the engagement factor is so intense that gamers demonstrate signs of addiction including euphoria and withdrawals. But like any highly stimulating environment it is the educators who set the expectations, monitor the progress and unpack the outcomes to provide learners with agreed co-constructed guidelines around appropriate usage that makes the difference. Educators could be parents, teachers or peers. 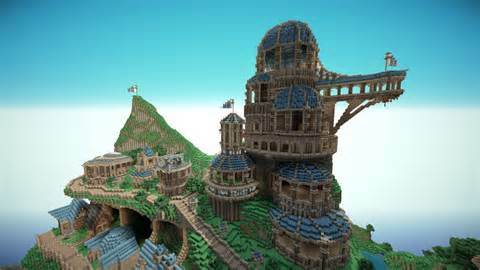 So from a learning perspective minecraft is a learning context like no other, there are the obvious links that can be made to mathematics, perspective drawing / architecture, storytelling, visual arts and more +. Minecraft is but one example of game-based learning. The learning is based on a game, often a serious game, and discovery and learning occurs by interacting with elements of the game. Gamification is more the application of features of a game - points, badges, leader boards, levels. The Learning Log to be found in the Heutology of EduCorponline is an example of the features of a game being utilised to measure performance, in this case it is measuring formal and informal learning, embedded in a learner centred platform, creating evidence of learning for the learner to utilise as part of the demonstrating of competency, capability or for their own personal satisfaction. The learner is at the heart and in control of the learning, the data generated and the option for use of their accumulated ongoing knowledge is in the learners hands. This is not a platform that will be duplicated for the use of individual stand alone situations, in fact the purpose and value of the site would be lost. It is our intention to create organisational dashboards so that employers and organisations linked to professional practice will be able to garner evidence shared by individuals, by choice, that demonstrates their knowledge, competencies and capabilities according to the frameworks particular to the organisation AND that's a GAME CHANGER! Please Log in or Register in order to post a comment. Copyright 2019 EduCorp | All rights reserved.